Nature has been generous to Ventura: snuggled between the Ventura River and the Santa Clara River valleys and sheltered by Mt. Pinos with 9,000 feet high peaks, it is the land of abundance, great natural beauty and a relaxed Southern California beach city vibe. Best things to do in Ventura, CA, include the lively art scene, downtown galleries and museums, the views from the Ventura Botanical Gardens, sitting on the beach and watching the world go by. Built in 1872, the Ventura Pier is a symbol of Ventura’s past when the agriculture, construction, and oil industries were thriving. Today, the Ventura Pier is a tourist attraction, a favorite spot for fishing, and the best spot for admiring the sunset, ocean, coastline, and the Channel Islands. The ageing pier has been renovated many times, and its current length of 1,700 feet is about 300 feet shorter than the original. 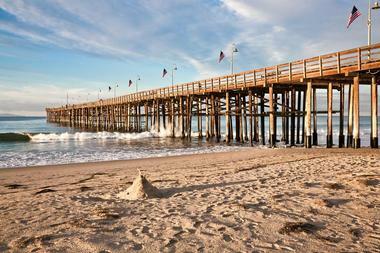 It is made entirely of wood except the steel pilings, and it is the eighth longest pier in California. Besides great fishing, it has a nice sand playground at its base with kids’ swings. There are also many benches for pleasant sunset watching and numerous panels with photos and information about the pier’s history and the current efforts to raise funds for its restoration and conservation. On both sides of the pier is the popular San Buenaventura State Beach. More California getaways. Franciscan priest Junipero Serra founded San Buenaventura Mission in 1749 with the goal of converting the native Chumash people to Catholicism and Spanish way of life. Burned to the ground, rebuilt in 1809, and shaken by a series of earthquakes and threatened by pirates, the mission has a rich and turbulent past. The Mission Church is today a magnificent working church open to Catholics and non-Catholics. It features an 1809 altar and reredos built in Mexico and a number of other significant art pieces. Visit Mission Museum, which contains some interesting religious artifacts and objects that depict the lives of those who spent their lives in and around the mission. The mission gardens are a lovely place for quiet contemplation. To learn more about the mission, join one of the tours run by highly knowledgeable docents. When Dr. Cephas Bard, a Pennsylvania doctor who came to Ventura after the Civil War, started accepting priceless Chumash, Spanish, and Mexican historical objects instead of cash for his services, he did not imagine that his collection would become a core of today’s Museum of Ventura Country. He opened his collection to the public in 1913 as the Pioneer Museum. In 1977, the museum moved to the new 15,000 square foot building near historic Mission San Buenaventura. Today, the museum’s goal is to preserve, interpret, and celebrate Ventura Country’s art, culture, and history through collections, exhibitions, events, programs, research, their library, and various publications. The Agricultural Museum was added in 2011. 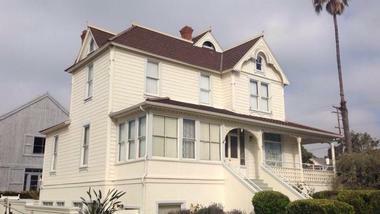 The Museum of Ventura County is one of the best things to do in Ventura, CA for history lovers. 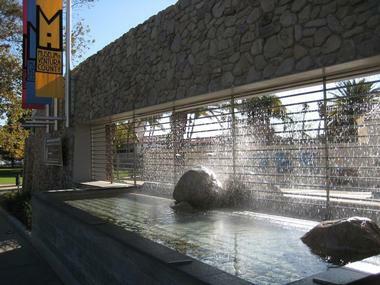 The most important museum collection is the Fine Arts and Historical Artifacts collection with over 30,000 works of art and historical objects, including works of John Nava, Omar d’Leon, Jessie Arms Botke, Beatrice Wood, Horace Bristol, and over 200 historical figures by George Stuart, celebrated Ojai artist and historian. There is also a significant collection of artifacts left by Ventura’s early inhabitants. More California vacations. A group of passionate Ventura residents initiated the project of the Ventura Botanical Gardens in 2012, and they have been progressing happily with the help of everyone who loves nature. Its core is Grant Park in the steep foothills above Ventura, a 107-acres of spectacular green space with a stunning 360-degree view of the ocean, the city of Ventura, the coastline, the Channel Islands, and the surrounding mountains, vineyards, and citrus groves. You can already enjoy the first completed trail, the Demonstration Trail, which is about a mile long and surfaced with decomposed granite and hand-made stone walls. The collection at the Botanical Gardens contains 160 plant species mostly from the Mediterranean regions. They also have a few sub-tropical species, a small Mediterranean pine forest, a Eucalyptus forest that consists of seven species, and a large swath of mixed California native plants. 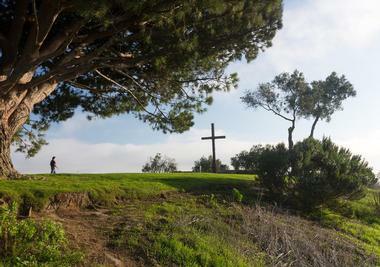 After founding Mission San Buenaventura in 1782, Spanish missionary Father Junipero Serra blessed the land on the hill above the mission church and planted a wooden cross on it. The cross was to serve as a road sign for travelers looking for the mission. The original cross has been destroyed by elements many times, but it has never been forgotten. The residents not only replaced it but also enlarged the original area where it stood and created the Serra Cross Park in 1918 on 107 acres donated to the City by Kenneth and Tonie Grant. The current park has been improved and landscaped over the years and is today a favorite spot for watching the sunset over the ocean or enjoying the view of the city below. Surfers Point Beach is located next to the Seaside Park at the mouth of Ventura River. The river goes behind the beach, forming a lagoon – a great habitat for many species of birds. The beach point faces south, forcing the waves to curl around it, and they roll in consistently. Surfers can ride these waves all the way to the Ventura City Pier. West of the point windsurfers and kiteboarders start their show as soon as the wind picks up. Also to the west of the point is Emma Wood State Beach, while to the east is Seaside Park and the Promenade, a path that takes you straight to the pier. 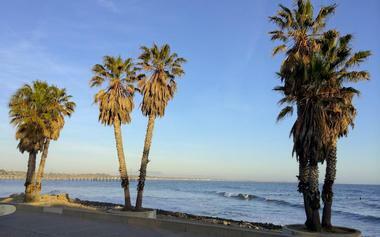 If you are wondering what to do in Ventura with kids, head to Surfers Point Beach. The beach has several picnic tables and benches, restrooms, and showers. This beach is not much fun for swimming. Emma Wood State Beach Park, located about two miles west of Ventura, is great for swimming and surfing, but is especially popular among fishermen who go there for perch, cabezon, bass, and corbina. There is a good reason for such a rich population: at the southeast end of the park, the Ventura River forms the Ventura River Estuary, creating a great feeding ground for many species of fish and a great habitat for other wildlife such as raccoons, various songbirds, and great blue herons. You can often see dolphins swimming just offshore. Exploring the park is fun even if you are not into fishing – there are crumbling ruins of a coastal artillery site from the WWII. You can also enjoy a lovely view of the Channel Islands from the beach. Camping in the park is allowed but very basic. Bikers can have lots of fun exploring the area around Ventura. Why not bike to the nearby city of Ojai, nicknamed "Shangri-La" because of its natural beauty and dedication to health and spirituality? 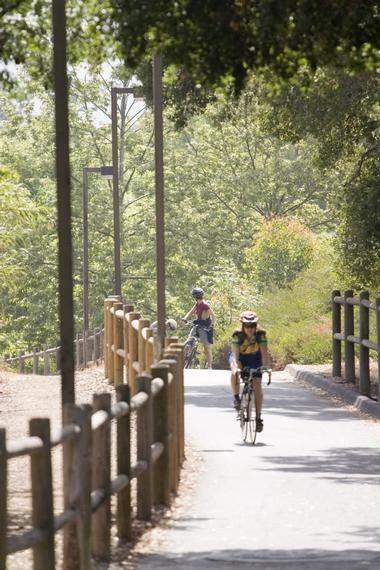 This paved bike path is an easy ride even for beginners. 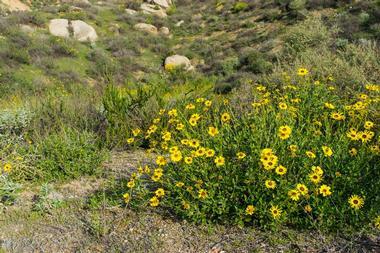 The trail is built on an old Ventura-Ojai railway line. After passing the first few miles of a fairly industrial area, you will come to the beautiful Foster Park on your west. This is the only relatively steep portion of the path, so take a break after that and enjoy the view. Soon after passing the park, the path branches off to the picturesque Sulphur Road, which is a little steeper but has nice views. If that’s not on your agenda, continue on the easier path to Ojai and treat yourself to a cold drink and a bit of sightseeing before heading back. 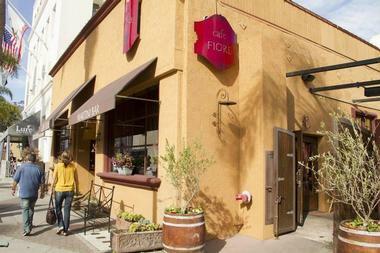 For the last 17 seasons, the Rubicon Theatre Company has been entertaining and educating the residents of Ventura and its visitors through its innovative and original professional theatre productions, annual festivals, special events, and popular education programs. The company has provided Ventura residents with over 110 productions of contemporary and classic dramas, musicals, and comedies, and they have served more than 42,000 students through their after-school programs and events. Rubicon has won numerous awards for its theatrical productions as well as for its service to the community. Rubicon’s small and intimate main stage is located in downtown Ventura on Main Street. If you are looking for romantic date ideas in Ventura, watch a performance at the Rubicon Theatre Company. Island Packers can make your trip to Ventura even better: they can take you to the beautiful Channel Islands in full comfort with their fleet of luxurious catamarans and cruisers. Five magnificent islands are called the American Galapagos for the riches of plant and animal life, some of them unique to the islands. 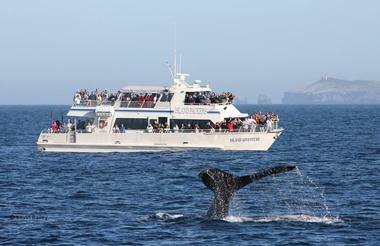 Island Packers have a range of cruises from short day-trips to island camping, allowing you to explore the wildlife, enjoy whale watching, or cruise the Ventura harbor. The Island Packers are a family-run company, and they have been sharing their passions for the Channel Islands with thousands of visitors since 1968. For a typical Southern California laid-back beach town, Ventura has surprisingly eclectic and vibrant food offerings - - from fabulous fish tacos to Polynesian food, from home-made pastrami to Nepalese delights, from chocolates to biscuits. Ventura Food Tours will take you on a three-and-a-half-hour whirlwind walking tour of the best Ventura has to offer. You will also learn a bit about the city history and architecture, how to pair food with wine, and the nuances of California-made olive oils. Whether you are a foodie or just hungry, a local or a tourist, you will enjoy stopping at the six locations and end up with a full belly and tired feet with the desire to go back and do it again. Before hitting the beach or booking a cruise to the Channel Islands, your exploration of Ventura should start in the Ventura Harbor Village. 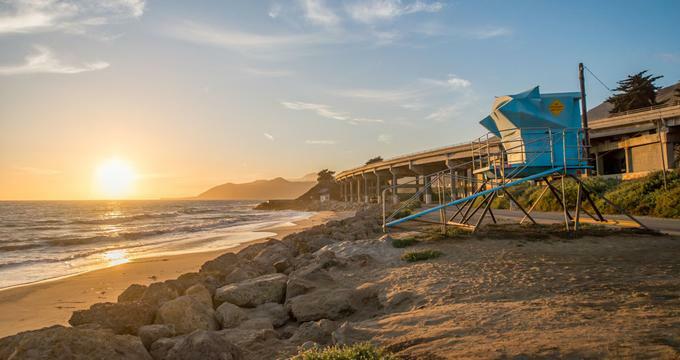 This fun seaside family-friendly attraction has a bit of everything of true Ventura: 35 boutiques, art galleries, fabulous waterfront restaurants and cafes, entertainment locations, special events, festivals, concerts, and more. Its wonderful promenade is a great place for sunset watching, strolls after dinner, or just a relaxing walk with the kids. On one side of the Village is the beach and on another is the harbor, one of the region’s largest harbors for offloading squid before it is made into calamari. No wonder there are so many wonderful seafood restaurants in the Village. At Surf Brewery they believe that California beers are the world’s best, starting with their own. You can find out if you agree with them or not at their spacious, fun, and always busy tasting room attached to the brewery. The décor is an eclectic combination of a surf and beer museum with some really famous surfboards and California beer history memorabilia on the walls. There are flat-screen TVs around the place showing surf movies and videos. 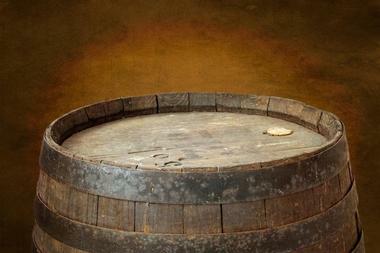 The best time to visit the tasting room is on Saturday when there is live music. Surf Brewery does not serve food, but there is a food truck parked in front, and you can also bring your own food. Check out their shop, which sells all kinds of paraphernalia for making your own beer. 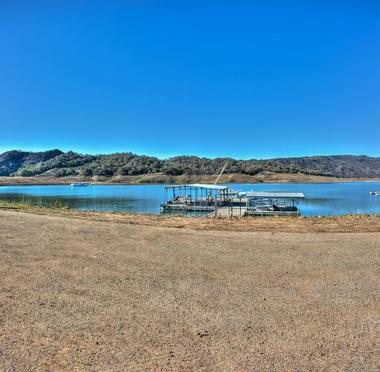 Lake Casitas is a beautiful lake in the Los Padres National Forest that was created as a result of the construction of Casitas Dam on Coyote Creek. 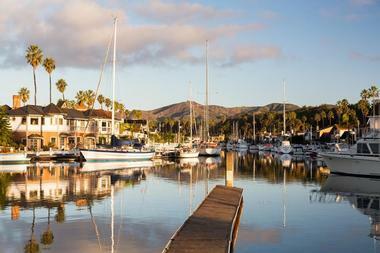 The lake is a favorite recreational area for the residents of Ventura and surrounding communities. It has more than 400 campsites for all kinds of camping, including camping on the lakeshore, among the trees, or on the hillside. There are picnic areas, facilities for fishing and boating, trails for hiking and biking, and an excellent kids’ playground. Lake Casitas Recreation Area is also a great place to see local wildlife – its surrounding wilderness is home to deer, mountain lions, coyotes, skunks, opossums, raccoons, and birds of all kinds including magnificent bald eagles. You might even see a bear, and you will definitively see lots of mosquitoes – bring plenty of repellent. 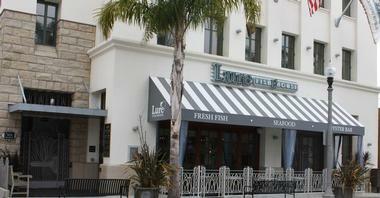 You never know what you are going to have for dinner at Lure: the menu depends on what is freshly caught that day. Once you enter the elegant, spacious dining room in downtown Ventura you will be ready for just about anything. Interesting nautical décor, high ceilings, funky lighting and spacious, well stocked bar create welcoming, lively atmosphere. Everything on the menu is organic and local, including the wines. Raw bar is always full of interesting options, and so is the other bar, serving interesting in-house cocktails and wines from California wineries. Try some of their specialty charbroiled fish and seafood and definitively check if there is space on their lovely outdoor patio. You do not have to go to a highly priced hotel to get fresh squeezed orange juice with your morning eggs – you can get that at Pete’s, along with freshly baked biscuits and local fresh eggs, fruits, and veggies. Their corned beef hash is also made from scratch, and once you try it, you will never again eat the canned version. This unique diner-style place is fun and cheerful and features an enormous whimsical mural on the wall that you can explore while waiting for your pancakes. 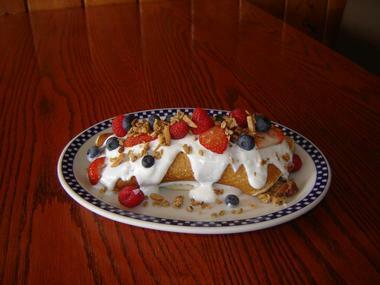 The menu has just about anything you might crave for breakfast, and lots of it – you might skip lunch altogether. Or just come for lunch, as they serve breakfast delights during lunchtime as well. Visit the BrixHouse, their popular tasting room, to identify your favorite wine or to attend one of their many events such as Concert in the Cellar, Dinner in the Tasting Lounge, Foodie Friday, a Blending Party, or BBQ Pizza Nights. 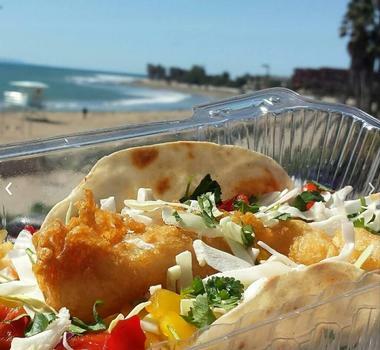 Best fish taco seven years in a row, among the 50 best tacos in America, best fish and shrimps burrito in the country – no wonder people are eating the tacos from Spencer Makenzie’s Fish, which is always packed. Cute, quirky, and decorated in an early California beach bum style, this very popular restaurant offers home-made sauces and salsas, fresh daily chowder, and sushi-grade fish in all their fish dishes – and that is most of what they serve. You have to try their tempura-battered fish and shrimps, hand-dipped for freshness and crispness, and you will become an instant fan. Only Italians could create a cozy and intimate atmosphere in a large space with high ceilings and enormous chandeliers. But, comfortable booths, an enormous bar, and a lively atmosphere is what you’ll find at Cafe Fiore Restaurant where the food is delicious. They have classic Italian favorites with some delicious surprises such as Braised shank of lamb with house potato gnocchi drenched in Gorgonzola sauce. Their breads are made in house, pizzas are rolled by hand, and they make their own porchetta and tortellaci. You can enjoy live music almost daily in their lovely Treehouse Lounge. Their martinis with basil-wrapped olives stuffed with blue cheese are the talk of the town. Face it, your chances of actually trying Nepalese or Tibetan food by travelling to the Himalayas are pretty slim. What do people eat there? Apparently, they eat some very interesting, spicy, and flavorful dishes that have been influenced by two giant neighboring countries – India and China. Himalaya is a small charming restaurant in a mall on W. Main street that introduces some of the more interesting as well as a number of fairly typical dishes of the three countries on the Indian sub-continent: India, Nepal, and Tibet. 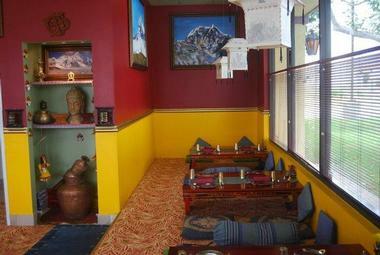 Tibetan and Nepalese art decorate the space and guests can enjoy eating the Nepalese way (on the cushions on the floor) or they can sit at the table. Many of the dishes are familiar Indian favorites including fabulous naan and pakoras but Nepalese food introduces a few surprises: yak meat and an interesting mix of spices. Everything in Himalaya is made from scratch, and the sauces and marinades, which are such an important part of the flavor, are cooked for hours. Check out their lovely outdoor covered patio while you’re there.